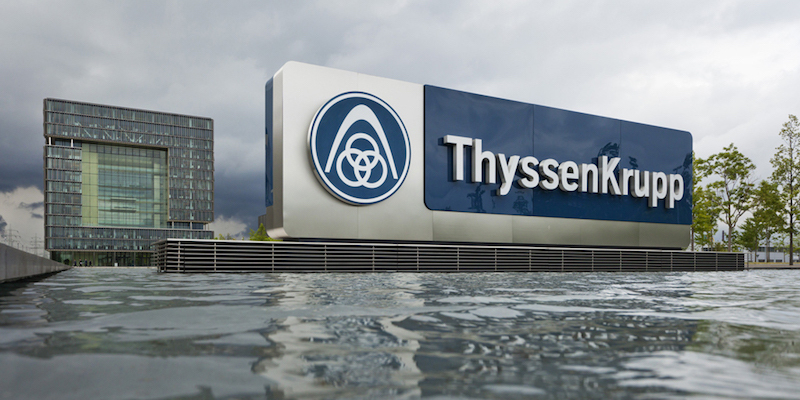 Thyssenkrupp (TKAG.DE) will propose as chairwoman Martina Merz, whose background includes roles at Volvo (VOLVb.ST), Bosch [ROBG.UL] and Lufthansa (LHAG.DE), the German company said, as it prepares to spin off its capital goods units. A former chief executive of Dutch firm Chassis Brakes International, Merz is currently chairwoman of automotive supplier SAF Holland (SFQN.DE) and sits on the supervisory board of Lufthansa. Having served nearly 25 years in various position at car supplier Bosch, Merz is also a member of the board of directors of truck maker Volvo, Belgium’s NV Bekaert SA (BEKB.BR) and French roofing business Imerys SA (IMTP.PA). Apart from Merz’s planned appointment, which was previously flagged by Reuters, Thyssenkrupp will also appoint former Evonik (EVKn.DE) finance chief Wolfgang Colberg to its supervisory board, filling the committee’s last vacant seat. Colberg, who became an industrial partner at buyout group CVC Capital Partners [CVC.UL] in 2013 after helping to list Evonik as its chief financial officer, also needs to be approved at Thyssenkrupp’s shareholder meeting. “I am delighted that in Wolfgang Colberg we have recruited a recognized financial expert with industrial experience for the supervisory board,” Pellens said in a statement.